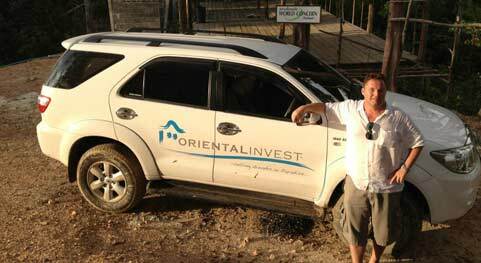 If you are thinking of buying a property for sale in Hua Hin, Thailand, Oriental Invest is the obvious choice. Since 2006 we have become one of the leading Hua Hin real estate agents and have helped hundreds of satisfied customers buy quality homes here. You can also rent your property through us. We have gone from being an ordinary Hua Hin real estate agent to becoming the leading quality property developer in the area. Today we only market and build our own quality homes in Hua Hin. These are projects where we use only the best materials and meet all legal and engineering requirements. With one of our homes, you never inherit someone else’s mistakes or bad work. No matter where you search for a house for sale in Hua Hin or Thailand, you will find that very few property developers or property agents can match us on both quality and price. Our current resort, Oriental Beach Pearl, is loaded with features that you might think you could only find at the most expensive resorts. Oriental Beach Pearl will surprise you with its beauty, special features, and affordability. We will always strive to maintain our position as the property agent in Hua Hin, and we hope that we can help you and your family in your Hua Hin property search, whether your dream is a home to live in now or a long-term investment in the booming Hua Hin real estate market. * Danish property developer, construction management meeting Danish standards. * 10 years of experience in property construction and real estate law in Thailand. * Quality property for sale in Hua Hin without costly intermediaries. * No risk: buy a property in an almost-completed project. * Option to make a prepaid rental agreement that reduces your capital needs. Oriental Invest is honoured by all the positive publicity the company and our properties for sale in Hua Hin have earned in both Danish and international media over the past 10 years. We always focus on the buyer-seller relationship, to keep it friendly and professional at the same time. We stand by our work—in fact, we live in our own projects and are in daily contact with our friends, neighbours and customers. We solve small, everyday situations before they escalate to become problems, to ensure our resorts are free of the strife and conflict that can develop where there is no professional management engaged in daily life. In 2008 we had the pleasure of being broadcast on Hammerslag in Thailand when we had just two properties. Our real estate projects in Hua Hin and Rayong were selected, and over 1.3 million TV viewers got to see how you can buy a top quality home in Hua Hin, Thailand for very little money. In 2014 “Eat, Stay & Play” came to visit. This Australian TV program focuses on luxury resort around southeast Asia. The program selected our Oriental Beach Pearls resort and pool villas in Hua Hin, along with some of Thailand’s most exclusive resorts, to take part in the program. Enjoy this little appetizer. Do you dream about living in a pool villa or investing in a holiday home? Our current project, Oriental Beach Pearl, is likely to be what you are looking for. The resort is already in full operation and bursting with activities and amenities that you cannot find in other resorts. Every villa has easy access to the largest salt-water pool (7000 m2) in Hua Hin—and possibly in all of Thailand. 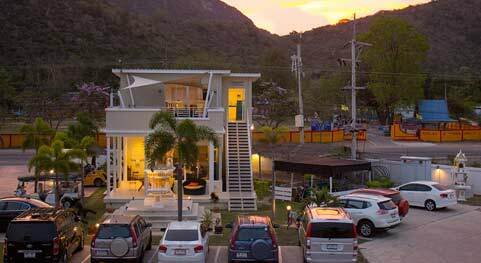 We still have some fine Hua Hin pool villas for sale at very attractive prices, and you can reduce the price further by signing our popular 5-year prepaid rental agreement. Hurry up if you want to have a slice of Paradise! Click on a house in the interactive map below to find more information about each Hua Hin property for sale in Oriental Beach Pearl resort. In more than 10 years in the Hua Hin property business, Oriental has been involved building more than 600 holiday homes, so we have gained great insight into what it is that makes Thailand and our Hua Hin houses so popular. In 2010 I saw a rerun of the TV program Hammerslag in Thailand on Danish national TV. I could immediately recognize Flemming Bo Sørensen as we grew up together in a small town. I had already heard that he was building holiday homes in Thailand, and in the program these were displayed perfectly to suit my wishes for a holiday under the palm trees and not below 30 degrees all year. After a few meetings with Flemming back in Denmark I decided to buy a house in his newest Hua Hin real estate project, Oriental Beach Pearl. 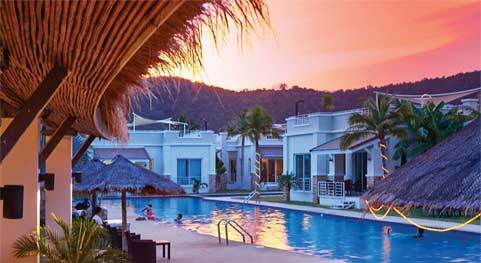 We paid only $100,000 for a fully furnished 140m2 Hua Hin pool villa in Oriental Beach Pearl. We decided almost from one day to the next to move down here permanently. It is such an amazing country, with such nice people who received us with open arms. We could afford to eat out three times a day, but our villa has the most wonderful QUICK kitchen, so we love to cook our own food. We pay someone else to do our cleaning and laundry for just a few hundred bucks a month, so our money goes really far here in Thailand. Jytte og Bent Boriths - Oriental Beach Pearl house #4, We can't believe how cheap it all is! Buying a property in Hua Hin is a big decision, and there are a lot of things to be aware of when looking at Hua Hin real estate for sale. Read and follow Oriental’s real estate blog, written by CEO Flemming Bo Sørensen, and learn from the knowledge he has obtained from 10 years experience with real estate in Hua Hin. Sørensen shares information about laws, taxes and financing options, so you know what you need before you start searching for a property for sale in Hua Hin. What you learn from the blog will definitely reduce your worries. You can find discount flights on the web. We recommend www.momondo.dk, which brings together all the major airlines so you can find the best price for your trip. If you are an early bird tickets are much less than you think—and the same goes for our two and three bedroom Hua Hin pool villas. When you’re based in a pool villa in Oriental Beach Pearl, you are ready for great experiences in the real Thailand, like excursions in Hua Hin and Sam Roi Yot. 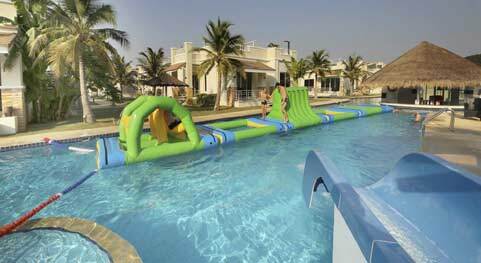 We have designed the resort so it is bursting with activities for both children and adults. Henrik Tvilling is at our tour desk, ready to help you choose the right tours and activities. Programs range from cycling to action-packed days at sea with our own speedboat, and much more. We will also help you with transport between the airport and your holiday home, if you need it.